Unsure what to make of the renewed disaster in Chinese trade figures, there has been renewed emphasis on China being China. Almost every media story about the 20% collapse in imports references an assumed attempt by China to transform out of exports and into a consumer-driven economy without reconciling how or why that has so obviously and spectacularly failed. Nor is there any mention as to why China might plot such a course in the first place, particularly since all expectations in 2009 were for an honest and symmetrical recovery – meaning China would resume its export position when the global economy shrugged off the Panic of 2008. China has been attempting to shift from an export-led economy to a consumer-led one, although the steep fall in imports suggests domestic demand is not as strong as the government would have hoped. These are hedged and qualified statements where only resolute conclusions can be drawn. If China did indeed attempt such a transformation it is not “not as strong” but rather in total and absolute disarray. There is an oft-hidden suite of assumptions in the financial media (owing from economists) that suggests a correlation between the amount of control and the ability to drive the results. I think that is why China and the PBOC are given an unnatural deference, whereby the communist central bank is almost the perfect ideal of what orthodox economists wish to propose with their efforts – unparalleled power to simply implement their genius designs without (usually) all the mess of differing opinions and deeper understanding (which is what markets are). The moderation in the contraction of exports is likely due to mild improvement in external demand, [China economist at Nomura Yang] Zhao said. “Moreover, the better export data could be partially explained by a rather large appreciation of EUR against CNY in September from August, compared to a sharp depreciation of EUR against CNY in August-September 2014,” he noted. Seven important stories emerged in the global media over the past week which further confirms the analysis presented here on POM. 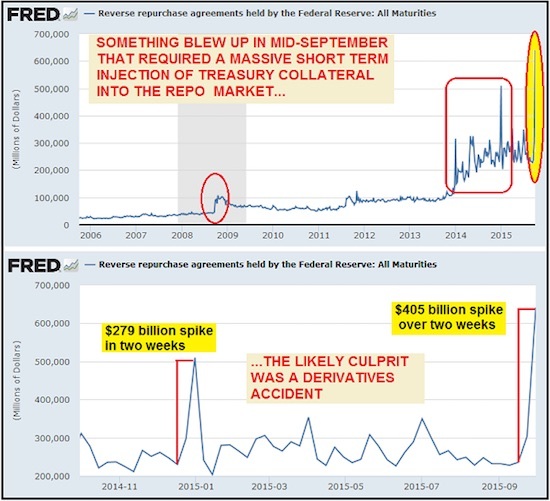 Though timeframes and specific data points may vary and fluctuate, such as interest rate movements, the overall trend is moving along the multilateral path which has been defined and discussed here through thousands of pages of research and laborious writing. Jack Delano Gallup, New Mexico. 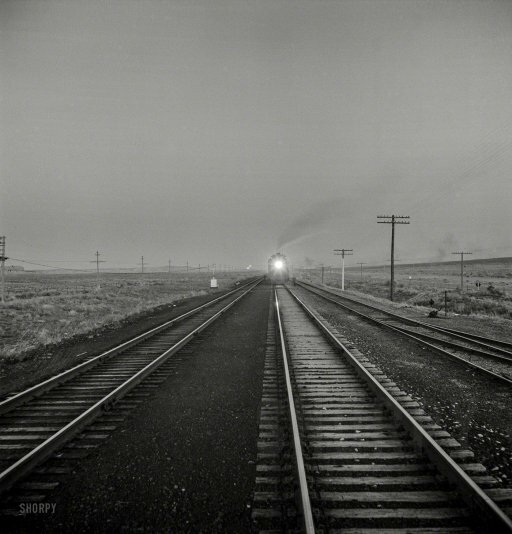 Train on the Atchison, Topeka & Santa Fe 1943Some things you CAN see coming, in life and certainly in finance. Quite a few things, actually. Once you understand we’re on a long term downward path, also both in life and in finance, and you’re not exclusively looking at short term gains, it all sort of falls into place. The only remaining issue then is that so many of you DO look at short term gains only. Thing is, there’s no way out of this thing but down, way down. Marc Faber has again encouraged individuals to own physical gold, be wary of possible government confiscation and said that the big question is where to store your gold. Marc Faber is an eloquent advocate of owning physical gold which he describes as being a way to become “your own central bank.” He believes an allocation to physical gold will serve as vital financial insurance and that Singapore is the safest place to own gold in the world today. Watch the complete interview with Marc Faber on Marcopolis.net. Whenever there is talk in the popular press or in the mainstream financial press about “heightened volatility” in the stock market, it is a euphemism for “the sucker is going down!”. Naturally, with most market participants positioned for rising prices, especially when said prices are in nosebleed territory (stocks are always at their most popular when their valuations are nothing short of crazy), nobody likes that to happen – or let us rather say, only a small minority would welcome it. This minority consists essentially of the following people: those who believe the market is overvalued and are either shorting it in the hope of profiting from a reversion to the other extreme (“mean reversion” is relatively rare in financial markets), or those who cannot bring themselves to invest in an overvalued market and are patiently waiting for the same event in order to be able to justify buying.